Did you have a good weekend?? 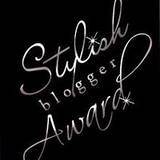 Mine was a little blah/boring/rainy/bad mood till I received an email from Kim at My Go Go Life, saying that she loves my cheerful blog and that she's awarding me with the Stylish Blogger Award!! I could not believe my eyes!!! 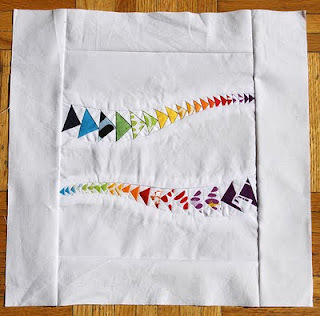 Kim is an amazingly talented quilter, and her blog is full of inspiration and lovely ideas!! Just to show you what I mean, take a look at her version of the sprocket pillow which has a quilted top!!! See??? Isn't that amazing?? Award the title to 6 or 7 blogs that you feel that they deserve this award. Contact these blogs to let them know about the award. 2. I discovered that sewing is kind of psychotherapy!!! It helps me be calm, and not think of anything else at that particular time. 4. You probably already know this, but I'm a HUGE cat lover... 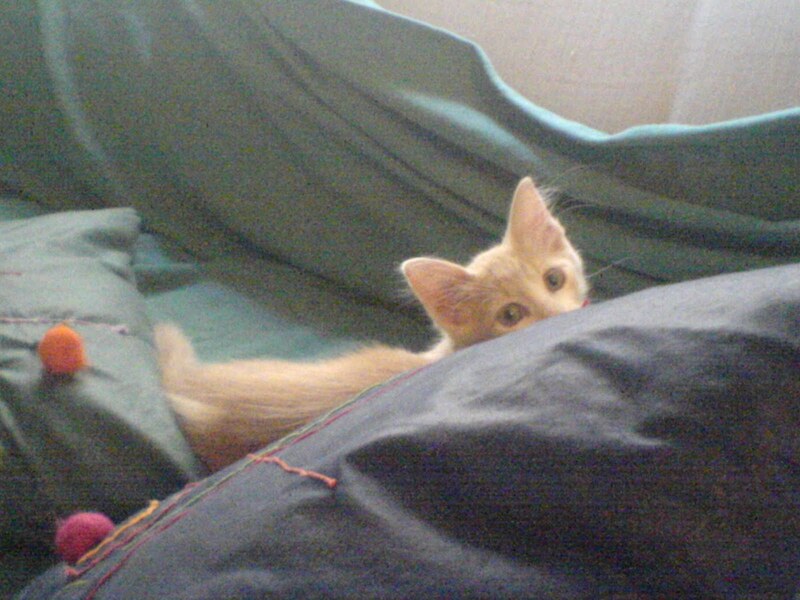 Already on this blog have appeared three of my cats... Dido, Sheba and Xnoudi (which actually means fluff- cause he was like a big fluffy ball-- he's no longer with us... ohhhh our little Xnoudaki). 5. I'm addicted to SUGAR!!! I think I can eat chocolate and ice cream in no particular order all day long!! Fact that naturally leads me to be over weight!! Ohh the summer is too close now, can I lose 15 Kgs in one day please?? 6. I'm like a handy man!! I always like to fix things myself!! And most of the times, it's a success!I think that this gift is from my dad!!! 7. This is my biggest dream!! To be able to have my own shop with handmade things!! I know that I've discovered sewing late in my life (I try to be positive here and not say TOO late), I'm already 35, but I believe that with hard work I might be able to DO IT!!! Sweet Bee Buzzings, Beautiful Beth, has this cute blog, where she posts about all the beautiful things she makes, perfect sewer and quilter:) Has the best sense of humor, she's so inspiring, her comments always make me smile!!! Pink Stitches, Lovely Bonnie, is constantly making stuff!!! I mean constantly !!! non stop, every single day she has something new to post!!! And they are all so cute!!!! Not always with thread, What can I say about Amy!!! She has helped me overcome my obsession to constantly point out my flaws... Her insight is just amazing!!! And also amazing are her quilts!!! Her blocks!!! I constantly have something new to see and try to learn!!! Kelsey creates, I have recently found Kelsey, and I was so inspired by her work!!! Just look at this block she made !!! How can anyone not look at that and not be speechless??? Little owl lucky, Chloe makes the cutest accessories!!! She just had a little blog make over, and it turned out so cute!!! Well, thank you ALL for being so creative and inspiring!!! I'm so thankful that you're a part of my life!!! I'm like you, addicted to sugar. Love your kitty. Thanks for all the links. That one block is amazing. Thank you for the award. I also love chocolate,especially Hershey bars or kisses..I like my Wii... Donky Kong Country Returns..but if I have issues with a board I either get my son or stop. Congratulations Eleni! Your blog is beautiful and I enjoy watching your your works and sweet cats!